The grip of winter has left New York. Mostly. It was kind of chilly yesterday. BUT! The flowers are blooming, the cats are sneezing, and I can leave the apartment without 20 layers of clothing. Bliss! Which gets me thinking about spring time, and the start of summer, and how those of us living in the cities can get that desperate craving to reconnect with something green. As I was scouting about these internets, continuing to put off the massive, massive research paper I have due next week, I found this nifty website. And you should scope them out. To get you started, here’s a page I particularly liked, especially in light of needing to commune with trees again. Have you ever hugged a tree? For real? I did it in a college science class, and I will tell you, it was actually kind of amazing. Go hug one. And then adopt it. Then do some of this other stuff. 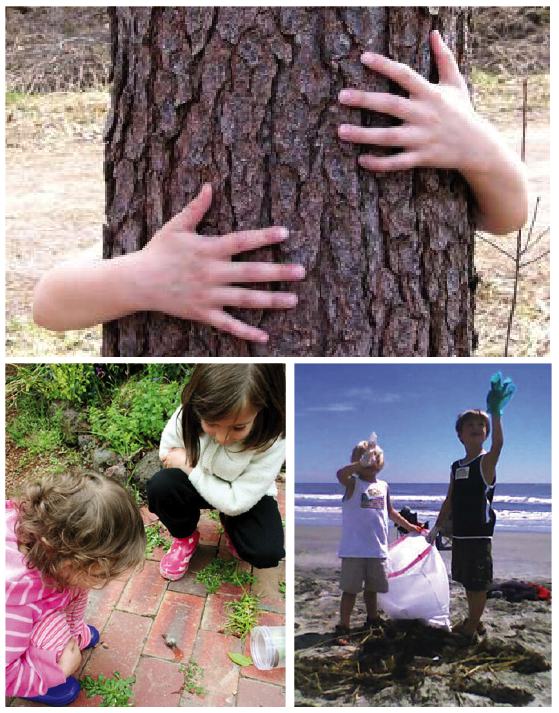 While taking a walk or hiking, have your child to pick out a favorite tree in a park or forest and “adopt” it. Essentially, your child will take on the role of being the tree’s caretaker. Do bark rubbings with crayons and paper; leaf collection and pressing in the fall; and look for flowers and fruit in the summer. Each year, take pictures of your child standing beside the tree. You can even bring along measuring tape to track the tree’s growth. Kids can also research the tree on the internet: where the tree is commonly found, usual life span, height, etc. Next Next post: Finding Your Way: Maps, Compasses, and Treasure – Oh My!